Highlander Retreat—Eilean Donan Castle, Scottish Highlands Periodically threatened, Eilean Donan Castle was a strategic island of loch and mountain during the fighting among Scottish clans. Reached only by a sturdy bridge, it is the archetype of refuge—and hope. Historically, the area was largely in the hands of Clan MacKenzie, who fought off other clans, such as the MacDonalds from the Isle of Skye. 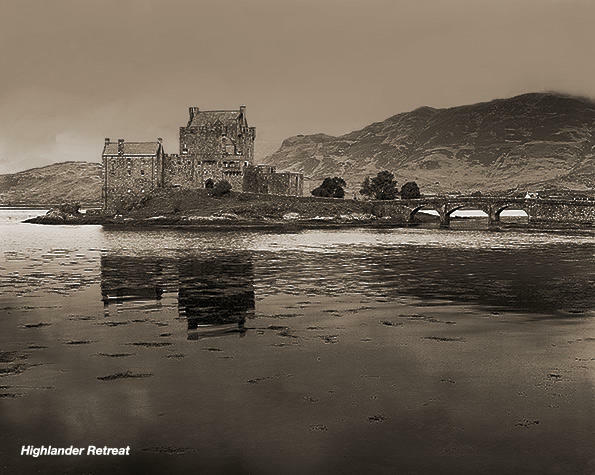 Tradition has it that in the early part of the 14th century, Clan MacKenzie allowed Robert the Bruce, later King of Scotland, to take refuge in Eilean Donan Castle.